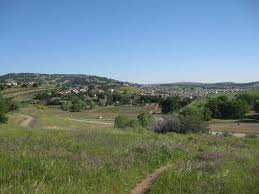 Recreational activities in El Dorado Hills include biking country roads, walking trails along small streams, boating and jet skiing at Folsom Lake, as well as hiking trails around the lake. Folsom Lake, with seventy-seven miles of shoreline, is one of the most heavily used recreational areas in the state. It is a part of the California State Park system (800)-777-0369 or visit www.parks.ca.gov. Driving up the hill toward the Sierra Mountains you see the prestigious Serrano Country Club which hosts the annual Chamber golf tournament. Continue east five miles on Highway 50 and you will come to the recently opened Red Hawk Casino; only ten minutes from Folsom. Travel a few more miles east and visit the quaint, historic town of Placerville; then stop and relive the legendary gold rush days of this county with the gold panning activities at nearby Marshall Gold Discovery State Historic Park in the city of Coloma located on the American River. You can also experience whitewater rafting on the American River, or camping and fishing. El Dorado County is the heart of the most diversified recreational area in California with approximately one million acres of national forest. Desolation Wilderness area is the most visited wilderness area in the state. The greater El Dorado County area provides ten major reservoirs and has 11,640 acres of lakes. Not only are there an abundance of lakes, the county boasts over 575 miles of rivers and streams that provide habitat for over twenty known species of fish. The Sierra provides you a choice of many ski areas; all within a one and a half hour drive from El Dorado Hills. These areas offer both Nordic and alpine skiing. Visitors may call Lake Tahoe Visitors Authority at (530) 544-5050 or visit http://www.tahoesouth.com/ Visitors to El Dorado Hills may enjoy wine tasting and exploring the delightful wineries that have become famous in El Dorado County. Nearby Apple Hill is host to a variety of activities at fruit orchards, pumpkin farms, bake shops, craft fairs and breweries.